Last month Cellnique Paramedical, an amazing skincare company, contacted me and asked if I’d be interested in trying some of their skincare. If you’re anything like me, you know the first step to ~flawless~ makeup starts with your skin. 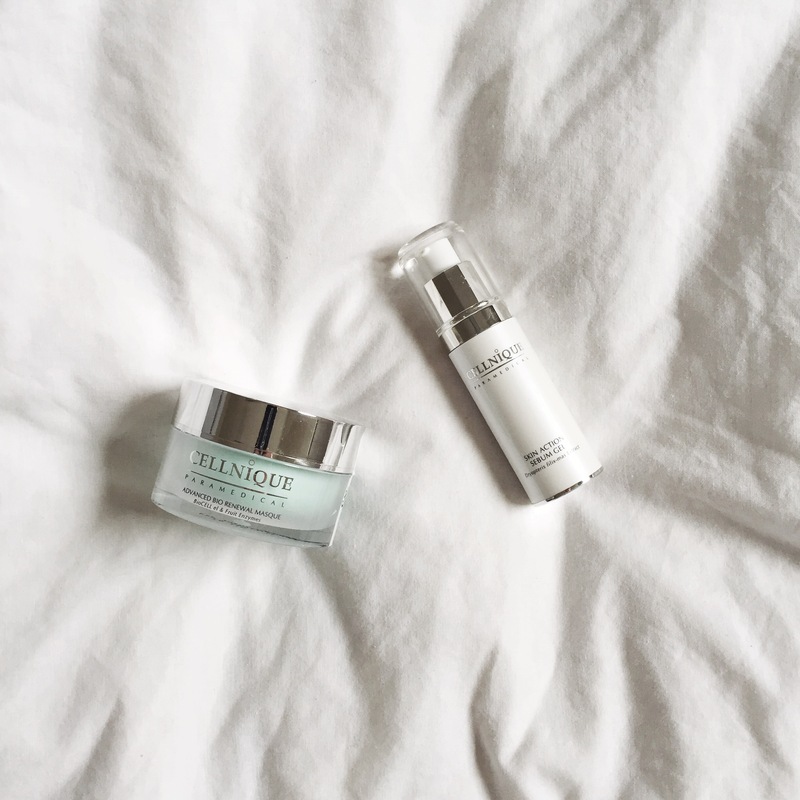 Taking care of your skin is so important, and even if you don’t have perfect skin (honestly, who does?) there are always things you can do to improve it. Making sure you’re drinking enough water, wearing sunscreen, and washing your face at the end of every day are some simple things that make a big difference. BUT if you’re anything like me you also are very wary of what you put on your skin. I have a few staple products that I have been faithfully using for years and I rarely change it up. I love trying out new makeup and clothing trends, but I tend to stick to the basics with skincare because I’m so afraid of irritating my sensitive skin. The sebum gel is supposed to go on your face in the morning and at night after you cleanse and before moisturizer. The masque is like a typical face mask that you use once or twice a week on clean skin for 5-10 minutes and then rinse to exfoliate and get a really deep clean. When I first tested out the products, I preferred the masque. It was very exfoliating but not rough, leaving my skin feeling soft and glowing. But after a few weeks of using the sebum gel, I was sold. My skin is definitely less oily, and the gel is the perfect primer for under my lotion so my makeup stays in place all day. I sometimes forget (or honestly get too lazy) to use it at night, but it’s the first face product I use every morning and I have absolutely noticed a difference in my skin. I don’t think I can say that the masque “slows down the aging process” like the website claims because my skin doesn’t show any visible signs of aging. But it definitely exfoliates and provides a deep clean, and is a very calming, luxurious product to use. If you’re going through “second puberty” you might want to give these products a try, but if you have different skin problems, Cellnique has products for a wide range of needs like anti-aging, anti-acne, brightening, calming, and more. Let me know if you have any questions! This entry was posted in Uncategorized and tagged advanced bio renewal masque, cellnique, cellnique paramedical, express kit, how to get your best skin, jenna marbles, review, second puberty, skin action sebum gel, skin care, skincare. Bookmark the permalink.